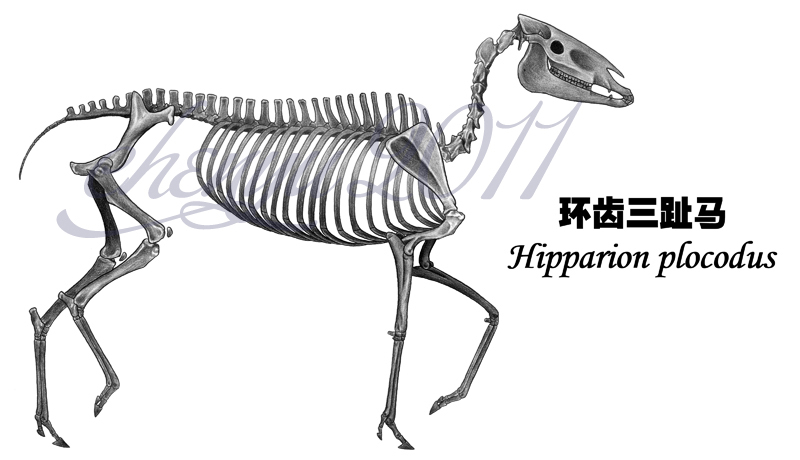 Hipparion is a prehistoric horse which lived approximately 20 million to 2 million years ago – from the Miocene Period through the Pleistocene Period. It was first discovered during the early 19th century and was named in 1832. Its name means “like a horse” in Greek. 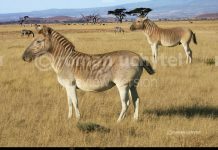 If you look at Hipparion pictures, then you might be quick to say that this animal looks identical to a modern horse. Which isn’t exactly true. 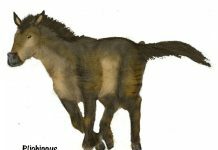 While it looks very much like a modern-day horse, almost identical in fact, there is one notable difference between the two. 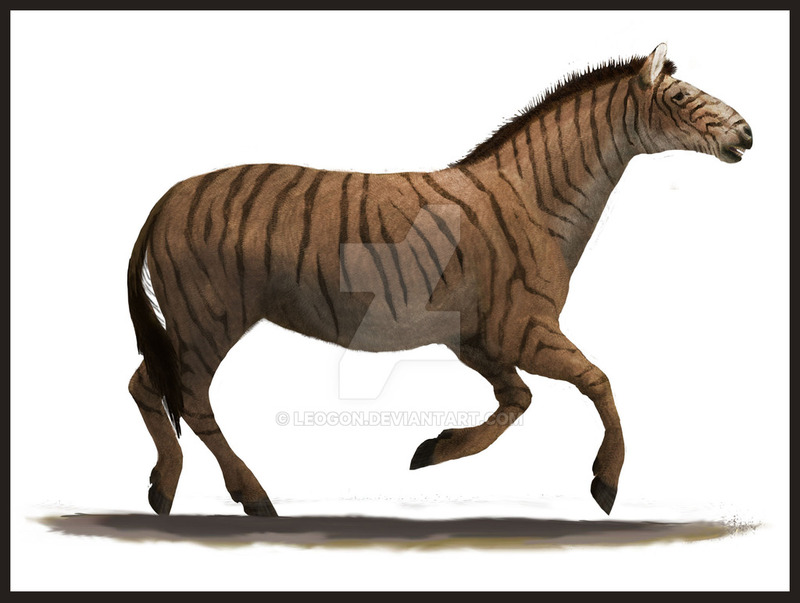 Hipparion had 2 vestigial toes on either side of its hoof. Horses nowadays simply have the hoof. 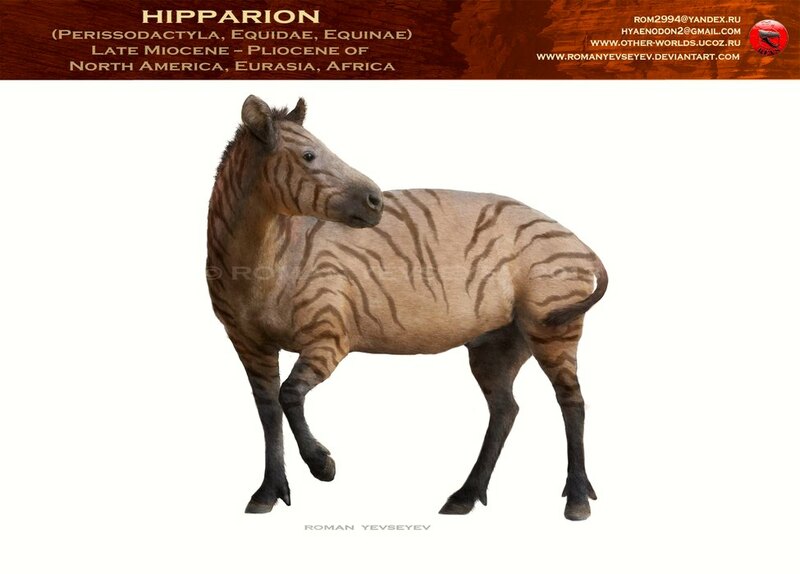 Hipparion was approximately 6 feet high, 6 feet long and weighed around 1,000 pounds. 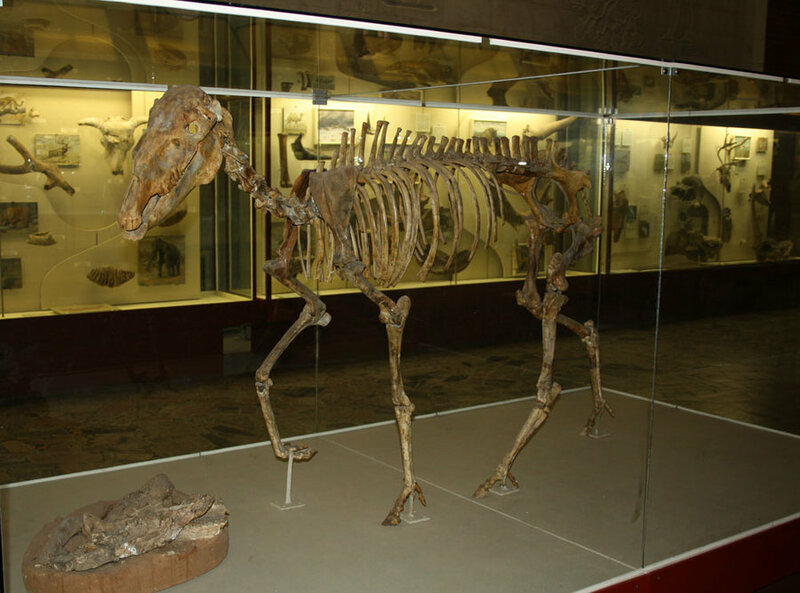 Analysis of these animals gait predicts that it probably ran in much the same way as a Thoroughbred runs today. However, while it ran in much the same way as one, that doesn’t mean it ran as fast as one. 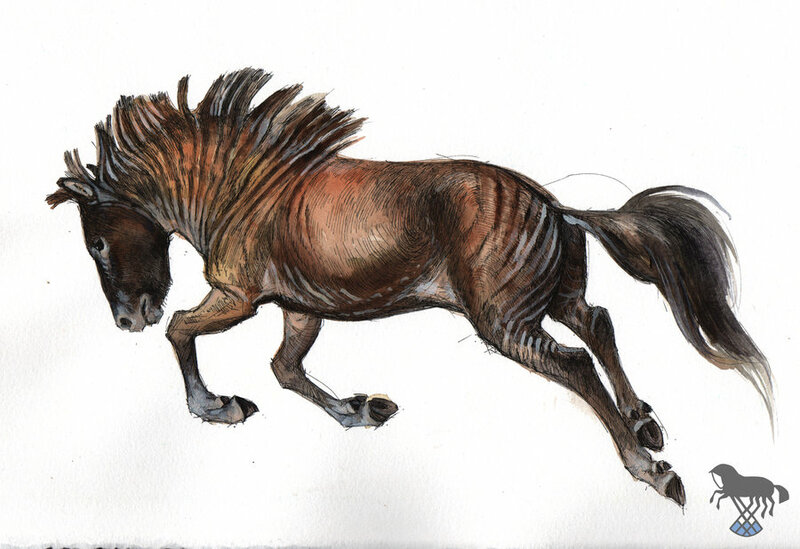 Paleontologists believe these horses could run at a top-speed of about 40-45 miles per hour. 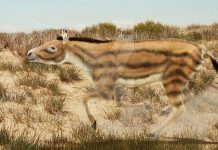 One of the most interesting facts about Hipparion is that it began its evolution in what is now North America and then spread across the land bridge to all parts of what is now Europe, Asia and Africa. This is interesting because its descendants in North America would go extinct around 13,000 years ago. However, it’s much better-developed descendants which evolved in Europe would be reintroduced in North America in the 16th century. 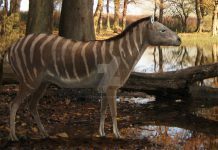 Hipparion became extinct in North America some 2 million years ago for a number of reasons. 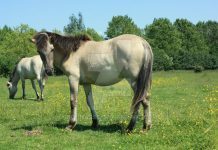 One, it would have faced increasing competition from more advanced grazing animals that would have fed on the same food supply as them – the wild grasses. 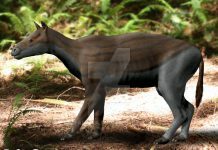 Two, it also faced increased predation from predators such as the cave hyena. These two factors alone would have been enough to destabilize the Hipparion population and drive them to extinction.